Is the resurrection account of Jesus true? Skeptic will say no. They hold the resurrection of Christ is fiction, created either by intentional fabrication or through an accumulation of legends, mistakes, and misunderstandings (or some combination of the two). I've recently looked again at why the resurrection could not be an intentional fraud, but what about the possibility of legend? There are several reasons that place the legend theory in doubt. First of all, it is a concept that runs contrary to the Jewish mindset of that day, yet Jews were the first to accept and spread the belief. Why would such a legend develop if it bucks the expected conventions of the very people who are supposedly falling for it? Secondly, the resurrection accounts themselves appear pretty early after the time the resurrection was said to take place. There's another point that I don't hear much about in these discussions, though. Even before the Gospel accounts were relatively early, there is a source of information that connects the events as they happen to the Gospel writers' pens. That is the testimony of Jesus's very closest disciples, known in the Gospels as "the Twelve." 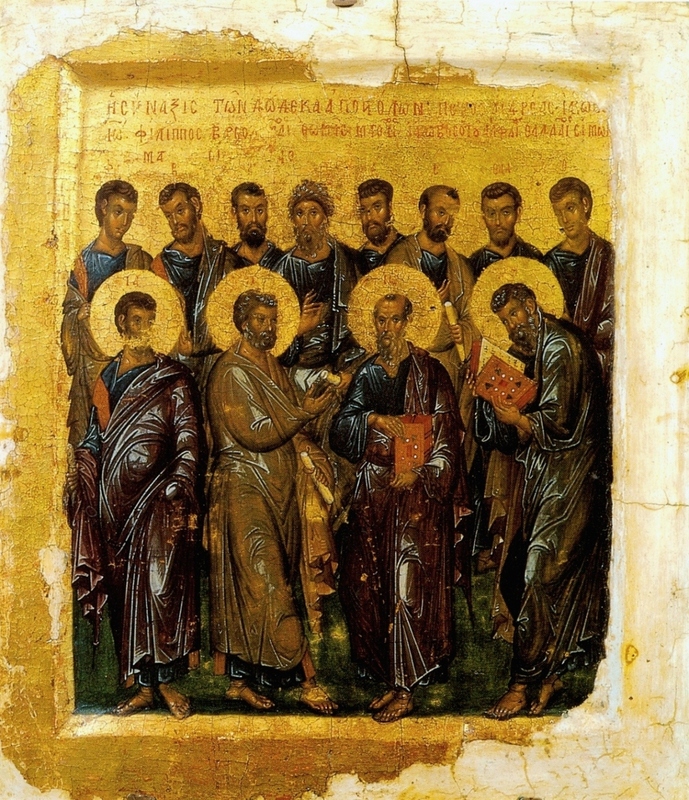 Unlike the term apostle (meaning "one who is sent") that is applied to Paul, Barnabas, and others in the epistles, the use of the term "the Twelve" is very specific and is used by the Gospel writers, especially Mark and John, to very specifically to refer to those disciples who were closest to Jesus.1 This means from a historical standpoint, attestation of the Twelve exists across multiple sources; it has a stronger level of support. The list of names of the Twelve is remarkable consistent across the different gospels, not only are eleven of the twelve names identical, but even the grouping of the names are always displayed in three sets of four. The only name that has some question behind it is Thaddeus who is called Jude of James in Luke's gospel.2 Meier sees this as evidence for an oral tradition for the Twelve that pre-dates the written accounts of the Gospels. It seems that Jesus really did have a circle of Twelve disciples he kept especially close. This inner circle was in a unique position to be the primary source material for the accounts of the Gospels that record their exploits. If the Resurrection accounts are legendary, why would this circle of Twelve develop? How does it fit, especially if the concept of the Twelve is glaringly absent in the other writings of the New Testament authors? As Richard Bauckham has developed in his book Jesus and the Eyewitnesses, it is the members of the Twelve who provide the link between Jesus, his ministry and resurrection, and the gospel accounts. It is a chain of custody establishing that eyewitness testimony is the thing establishing the resurrection accounts. Because legends cannot explain the existence of the Twelve, they also cannot explain the testimony of the resurrection eyewitnesses. 1. Meier, John P.. "The Circle of the Twelve: Did It Exist During Jesus' Public Ministry?". Journal of Biblical Literature 116.4 (1997): 638. Web. 2. Meier, John P., 1997. 647. 3. Meier, John P., 1997. 652. 4. Meier, John P., 1997. 665-670. 5. Meier, John P., 1997. 670. Suppose you meet another Christian on the bus, they tell you they went to a Benny Hinn Crusade a few months ago, and they saw him with their own eyes performing genuinely supernatural healing miracles. Assuming you could verify to your personal satisfaction that they did indeed attend that Crusade as they said...is their eyewitness testimony sufficient to establish Benny Hinn as having the real healing power of the Holy Spirit, yes or no? If not, why not? It may be enough to establish that *they really believed* they saw miracles happen, which is the claim historians start with. However, today people argue that the apostles were themselves figments of some fictional Gospel writers' imagination. That's a wholly different claim. So would I be correct to conclude that you don't believe the mere fact that somebody was an eyewitness, is sufficient, standing alone, to obligate belief that their understanding of the alleged event was correct? Benny Hinn has a reputation as a charlitan, so in your example, no. You have to deal with others who have seen Hinn fail, with those who are exposing him, and with the fact that his action while claiming to be on God's behalf actually contradict the teaching of the Bible. There's more evidence than simply that one piece of testimony. Of course, that is also true of the resurrection claim. There's more evidence than just one or two people claiming they saw Jesus. Assuming you hold to Markan priority, which is the dominant theory today, how much does Matthew's choice to use most of Mark's text, impact the value of his gospel as an eyewitness account? Does his choice to incorporate extensive sections of Mark, establish that his gospel is a combination of hearsay and first-hand reporting? No, but now you've begun a separate line of questioning. Well if you insist that I stick with the Benny Hinn analogy, you assert that I have to deal with the people who saw Hinn fail. I would like to know whether the failure of Jesus' own brothers to believe in him during his miracle ministry (John 7:5), can be reasonably interpreted as their belief, at that time, that Jesus' signs and wonders were not supernatural in character. Also, what exactly would be wrong with using a biblical excuse to defend Hinn? You know...if anybody says Hinn's healings weren't true miracles fron God, such doubters are just blinded by the devil. Why is it that the excuse "the devil is blinding you to the truth" only applicable to those who doubt Jesus, but not applicable to Christians who doubt Hinn's miracles? I personally think such a biblical excuse should not be employed for any reason, ever. I've covered these kinds of objections in other articles here. You should be able to find them by clicking on the resurrection label at the bottom of the original post. The fact that James was skeptical of Jesus' claims actually counts as evidence towards his resurrection being true. Why does James' skepticism of Jesus' miracles count as evidence towards Jesus' resurrection being true? Doesn't his being an immediate family member of Jesus suggest (equally as strongly as any theory that you aspire to), that James continued being skeptical even after private family talks with Jesus that the average person on the street wouldn't have been able to have? But where would a historian go wrong in using John 7:5 to justify his own skepticism of Jesus' pre-crucifixion miracles? The fact that this anomaly can possibly be used to support some other argument too doesn't erase the fact that skepticism by the wonder-workers own family members is powerful medicine. If you wouldn't call me foolish to base my some of my skepticism of the Fatima apparitions of Mary on the fact that the mother of one of the children referred to the whole business as "childish nonsense", then apparently you agree with me that a family member's skepticism of a wonder-worker cannot lightly be dismissed or turned on its head and made to support the believer's position. Since John 7:5's immediate context is the skepticism of Jesus' own brothers toward his messiahship claims/ministry, and not his resurrection, let's exhaust that immediate contextual matter first. Blogging certainly isn't as conducive to the parties bringing the full weight of their arguments to bear. I would like to have a formal written debate with you, on any internet forum of your choice, on the narrowly defined topic of exactly how many resurrection-of-Jesus testimonies in the NT come down to us today in first-hand form. I do not say secondhand testimony counts for nothing, I simply wish to be meticulous like any good historian or judge in a court of law, and keep the first-hand testimony separate from the non-first-hand testimony. Blogging such matters is "fun", but no scholar would ever say that blogging such issues is the least bit conducive toward giving such a subject the comprehensive scholarly treatment that it deserves. I prefer to be thorough.